Local First Arizona is a nonprofit organization that celebrates independent, locally owned businesses. We support, promote and advocate for a strong local business community and raise public awareness of the economic and cultural benefits provided by strong local economies. Local businesses contribute to a sustainable economy for Arizona and build vibrant communities we're all proud to call home. Together with our Foundation, Local First Arizona is working to build a diversified Arizona economy that is sustainable, resilient and celebratory of diverse cultures. Local First Arizona promotes, supports and celebrates a vibrant and sustainable Arizona economy by educating citizens about local business ownership, social equity, cultural diversity, environmental kinship, and collaboration. Local First Arizona's business coalition represents nearly 3,000 locally owned businesses of all industries and sizes across the state. Local First Arizona also boasts about 1,000 individual members of the Localist program. 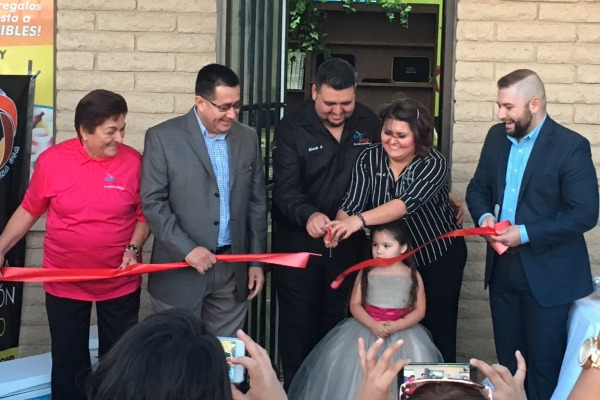 Local First Arizona Foundation is a statewide organization focused on community and economic development in order to build self-sufficient, healthy, and prosperous communities. The Foundation is the 501c3 nonprofit sister organization to Local First Arizona focusing on healthy local foods, the Fuerza Local Accelerator Program, and rural economic development. Together, we are creating a movement that has proven results across a wide variety of measurables including youth retention, job creation and economic growth. Facilitating technical assistance for businesses, consumers, and policymakers that builds our community’s capacity to participate in the opportunities of a sustainable economy. Local First Arizona hosts regular webinars, seminars, and other educational opportunities for businesses across the state to share tools and resources for building a successful local business. Connecting businesses to each other, and to the marketplace. Local First Arizona believes that collaboration among local businesses is the key to prosperity for all. By working together to advance common goals, we expend less energy individually and reap more reward. Local First Arizona works to identify opportunities for collaboration and connect individuals and businesses to one another. For businesses: Engaging in promotion and market development that opens opportunities for sustainable economy businesses. For individuals and families: The economy isn't something far away that someone else is going to fix for us! WE ARE the economy and we can fix it ourselves if we spend money like we want to create jobs and local wealth. Spending with independently owned businesses instead of publicly traded companies keeps more money close to home and builds prosperity for many people instead of only a few.